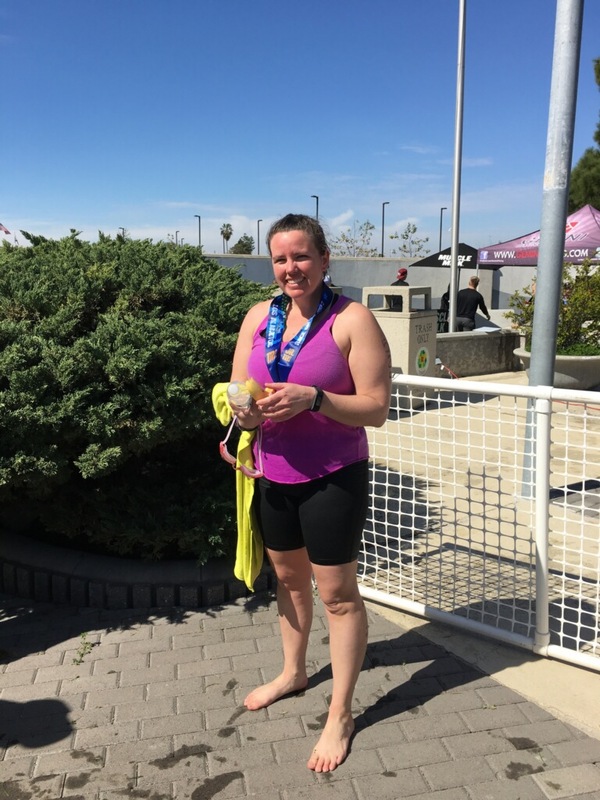 5 things I learned from my first triathlon. 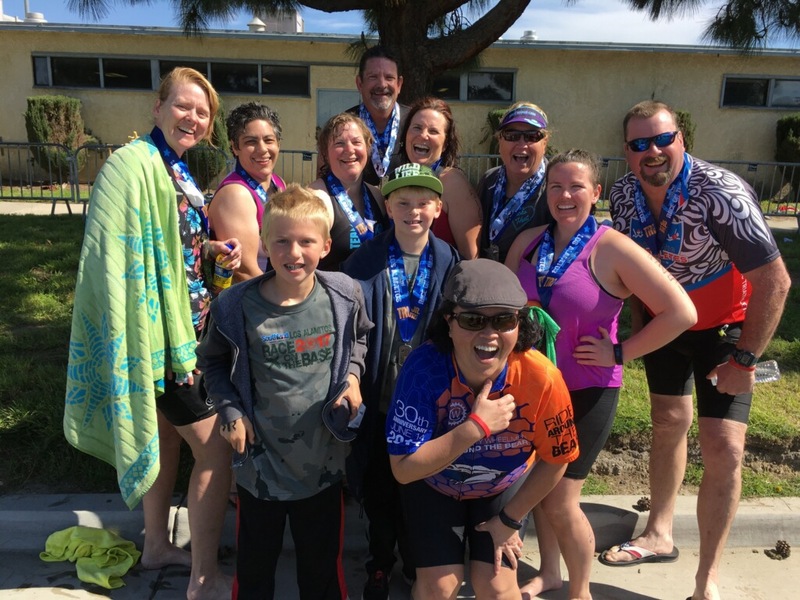 As I just finished my first triathlon, I thought I would share some things that I learned from my first triathlon. I know some of you are thinking about doing one in the future so learn from my mistakes. OK as I stated in my race recap, I did not train for this race. Obviously that was a mistake. I would have done so much better and been more confident had I trained. Training is important to any race. While I was able to complete the race, I was not confident and did worry I would struggle. Race on the base actually has a training group/ plan that people can join. Of course since I don’t live in the area this was not possible for me. Take it from me, find a good training plan, stick to it, and train! Sunscreen is important. I did apply sunscreen early when I put my clothes on, but did not reapply the sunscreen. That was a huge mistake. I ended up lobstered. It was around 5 hours from the time I put sunscreen on to race start. Plus I took layers off and such. So put sunscreen on again before the race. Do not be like my dad though. He had a clogged sunscreen can and ended up spraying it straight into his eye looking for the clog. That was not a great thing to do right before a race. While I am on this if you are like me and always have chapped lips make sure to bring ChapStick.I suffered without it. Nutrition as always is important for race day. Eating before the race is important to fuel your body for the race. Make sure it is something you have ran on before and that your body will handle it. My mom was so sweet and made me a bagel to eat in the car. Unfortunately the bagel had cream cheese on. I don’t like cream cheese so I didn’t eat the bagel and was hungry before the race. I ended up eating an entire bag of honey stingers before the start of the race. So plan out what you are going to eat and eat it. Hydration is important to any race. I can not stress enough for any race to make sure you have water and can drink it during the race. I made sure to drink prior to the race. I am not the best at drinking water while I am on the bike. This was a challenge so make sure you practice grabbing your bottle, drinking, and putting it back. Stay hydrated. Finally have a good cheering squad. Not only did I have friends racing the same race with me, but I had others cheering me on during the race and helping me through. 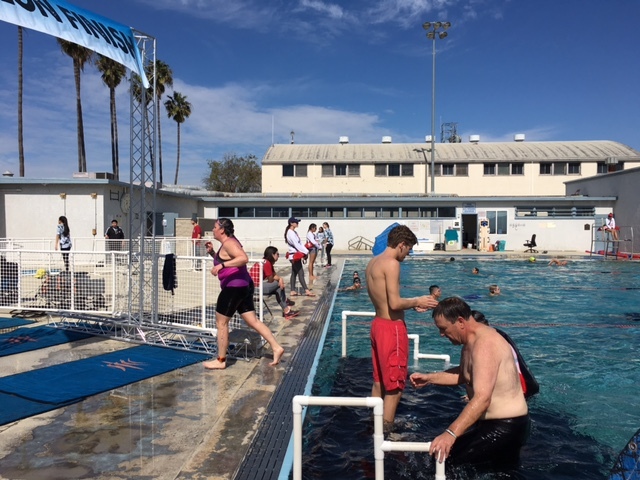 My mom raced in the earlier wave and was there in transitions and by the pool cheering for me. That was awesome. My dad did the bike and swim with me. I can safely say if he was not there for the bike, I would have been miserable. I get so bored riding by myself and it probably would have ruined my experience. I am so thankful for him! This race would not have been nearly as enjoyable without his presence. My friend Julie was volunteering for the race and seeing her on the race course was awesome. Every person there to cheer for me was awesome and so encouraging. Get a cheering squad together for your race, I promise it will make all the difference!